This entry was posted in User Experience on September 25, 2014 by David. Working with the creative team at Wire Stone, I led the user experience work stream for the redesign of JunoLightingGroup.com. Juno makes thousands of lighting products across a wide range of product categories. 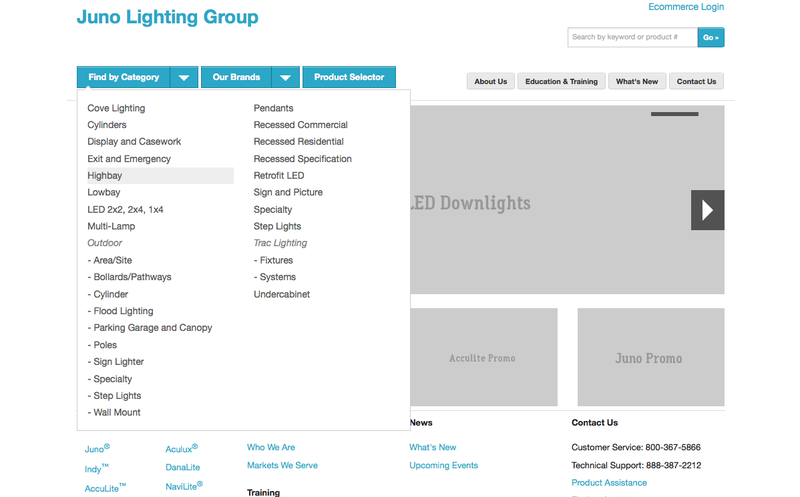 Our goal in the redesign was to make it easier for Juno’s customers to find exactly the item they need. We created two browsing paths–a hierarchical browsing structure with product filters for quickly narrowing your search, and a product selector, which helps you quickly narrow your search from thousands, to dozens, to the exact product you need. 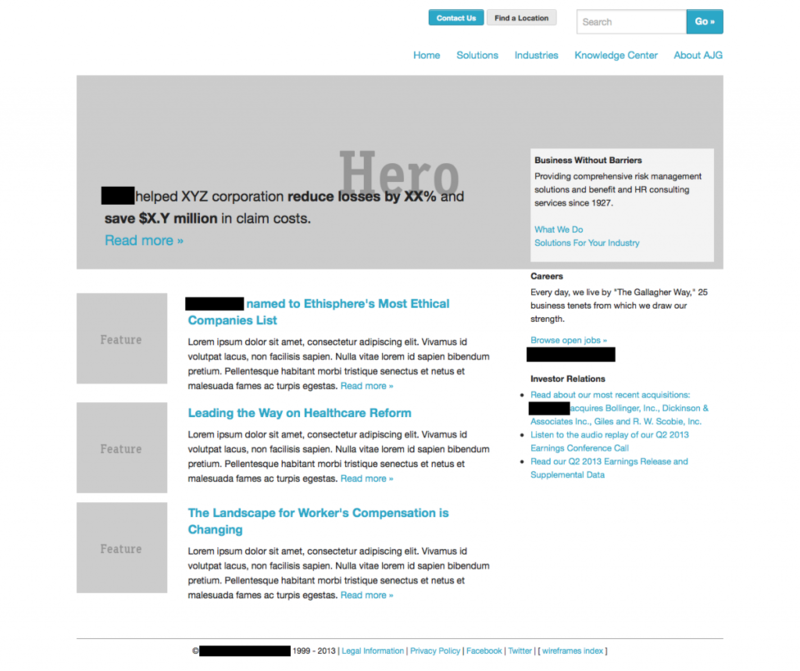 I created the page designs in HTML/CSS using the Foundation responsive web framework.